Tucked away in the back of the lobby, swing by for a quick bite. Right off the Light Rail platform inside the 7th Street Public Market, we're spinning crepes all day long. 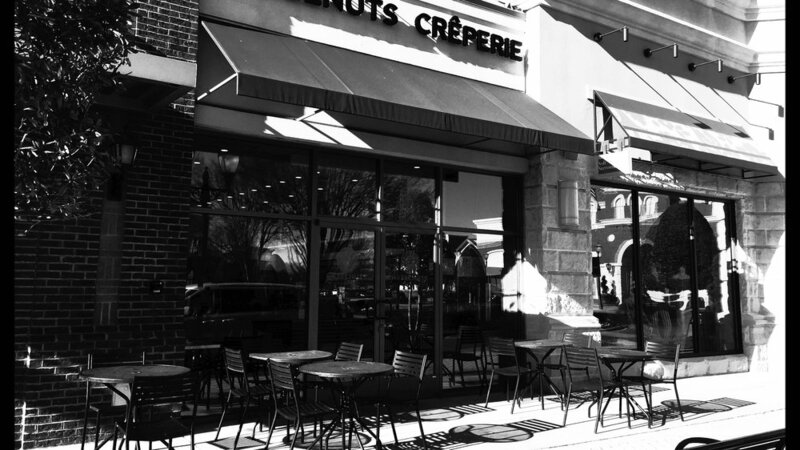 Come enjoy a delicious crepe on our patio at the Blakeney Shopping Center in South Charlotte. Visit our newest location at the REDSTONE Shopping Center in Indian Land, SC. Lots of seating, outdoor patio & delicious crepes!